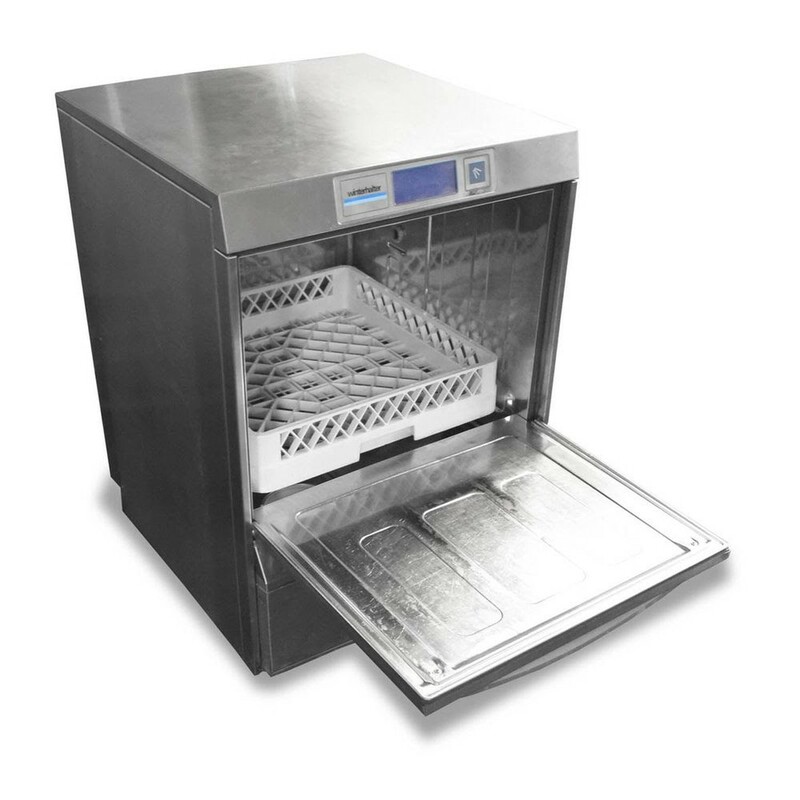 This top quality dishwasher by market leaders WinterHalter is the ultimate dishwasher for the most demanding of businesses. It has a multifunction touch screen control panel with temperature display, self-cleaning program and time controlled start up. The dishwasher also has a deep drawn tank with hygienic tank heater, door safety switch, drain pump and cycle time of 54-150 seconds. 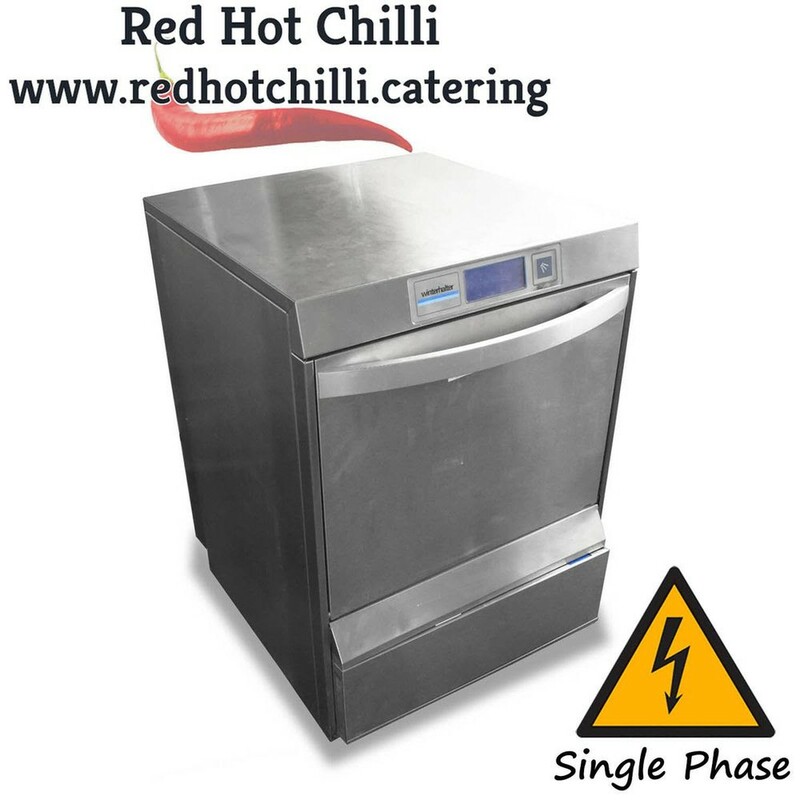 This outstanding dishwasher is also capable of keeping a record of accumulated operating data and has fault diagnosis with error code, error memory and also has a hygiene logbook with data memory. Additionally this superb dishwasher features quadruple water filtration system with clouding sensor, removable quick release elliptical wash fields and Vario-Power which adjusts the water pressure precisely to the type of wash items and how dirty they are ensuring even the most dirty dishes are cleaned and treated gently. The dishwasher also has double skinned housing and door and comes complete with detergent & rise aid containers and a detergent & rinse aid dosing device which ensures your dishes are cleaned perfectly every time.